By using this site, you are agreeing to form a legally binding contract with the Office of What Design Can Do (hereinafter WDCD) based on the following Terms and Conditions. If you have registered as a user, your access or use of this site confirms that you have read, understand and agree to be bound by the terms as well as any additional specific rules or agreements that apply to The WDCD Climate Action Challenge. By accessing or using this site, you are also confirming that you have legal authority to accept the terms on behalf of yourself and any additional party that has access or uses your site. WDCD reserves the right to change any provisions of these terms, and any other terms policy or guideline governing your use of the site, at any time in its sole discretion. Such changes will be effective upon posting such revisions on the site, and you waive any right to receive specific notice of such changes. You should frequently review these terms and any other applicable rules, policies or guidelines on the site. WDCD maintains this site as a platform for collaboration and a repository for innovative thoughts and ideas shared with WDCD staff, partners, stakeholders and persons of concern to WDCD. On this site, WDCD may post some of the most pressing challenges we face around the world. The site then invites users with innovative ideas to participate and collaborate in seeking solutions to the Challenge(s). Users may be members of the WDCD community, persons of concerns to WDCD, NGOs, academics, researchers, designers, representatives of the private sector, etc. WDCD grants user’s permission to log into the site and to contribute to, download, and copy information and materials such as data files, written text, computer software, music, audio files or other sounds, photographs, videos or other images (hereinafter collectively referred to as “Contribution(s)”) from the site for the user’s personal, non- commercial use. With regards to WDCD and taking into consideration your contribution, by agreeing to these terms and conditions you acknowledge that you have read, understand and agree to the terms set out hereunder, and further agree that these terms shall apply, until such time as WDCD otherwise agrees in writing, to any additional contribution, update to contributions or content previously or later uploaded. This site allows you to submit, post, and share information and materials with WDCD and other users on the platform. You must be a registered user to submit any contributions to the site. By submitting a contribution in a challenge, you hereby (a) grant permission for your contribution to be posted on this site as well as other related websites and social media pages and materials; (b) grant to WDCD, IKEA Foundation, AUTODESK Foundation, STBY and Social Enterprise NL an unlimited, perpetual, irrevocable, assignable, royalty-free, fully paid up license to publish your contribution, in whole or in part, in any manner and in any media throughout the world, without compensation, notification, or permission, to you or any third party; (c) represent that you are the owner of the Contribution or, in instances where you have used someone’s concept, that you have attributed the work or credited it in the manner specified by its author or licensor. You understand that WDCD, IKEA Foundation, AUTODESK Foundation, STBY or Social Enterprise NL have no obligation, either express or implied, to develop or use your contribution and that, unless expressly agreed in writing, no compensation is due to you or anyone else for any inadvertent or intentional use of that contribution, related contributions or contributions derived from your contribution. You understand that WDCD assumes no obligation with respect to any contribution. You acknowledge that WDCD, IKEA Foundation, AUTODESK Foundation, STBY and Social Enterprise NL directly or indirectly, may be working on a similar contribution to your contribution, or already knows of such contribution from other sources. You also understand that other users may be working on the same or a similar contribution. You agree that, except to the extent that these terms are superseded by a separate agreement in writing between you and WDCD, IKEA Foundation, AUTODESK Foundation, STBY and Social Enterprise NL. You hereby irrevocably release and forever discharge WDCD, IKEA Foundation, AUTODESK Foundation and Social Enterprise NL. from any and all actions, causes of actions, claims, damages, liabilities and demands, whether absolute or contingent and of any nature whatsoever, which you now have or hereafter may have against WDCD, IKEA Foundation, AUTODESK Foundation, STBY, Social Enterprise NL and other users or their respective successors and assigns with respect to your contribution, including without limitation in respect to how WDCD or another user directly or indirectly uses your contribution. You are responsible for the content of your Contribution and agree to defend WDCD option and at your sole expense), indemnify and hold WDCD and any Challenge User concerned harmless from any damages, losses, costs, or expenses, including attorneys’ fees, which WDCD and any challenge user may incur as a result of your contribution. If you are viewing this site on a public computer or are otherwise using a computer to which multiple people have potential access, you agree to follow good practice and ensure that you are sufficiently disconnected and logged off this site and the computer system you are using to prevent unauthorized contributions. WDCD retains the right to review, edit or delete from the site any contribution with which WDCD in its sole discretion considers illegal, offensive or otherwise inappropriate or contrary to the terms set out in the user conduct below. 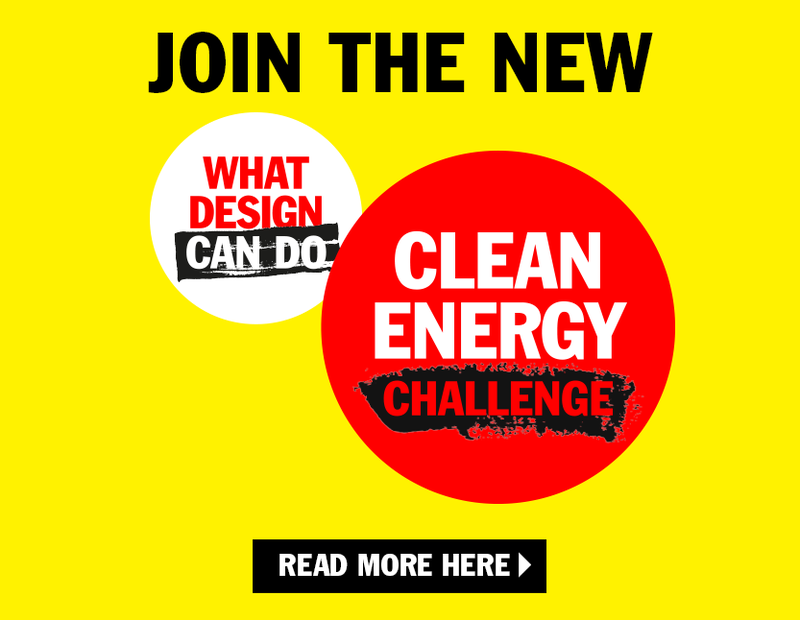 Ideas submitted on http://challenge.whatdesigncando.com, remain the intellectual property of the entrant as a participant of the Climate Action Challenge. Participants are entitled to all intellectual property and other proprietary rights including, but not limited to, patents, copyrights and trademarks, regarding products, processes, inventions, ideas, know-how, documents or other materials, with which you have developed as a result of participating in The Climate Action Challenge. Falsify the origin or source or other material contained in the file that is uploaded. As part of the registration process, you will be asked to select a password and a login name. You are agreeing that your registration information correctly represents your qualifications, status, and your real name and contact details always. You may not use a login name of another person. You may not disclose or share your password with any third parties or use your password for any unauthorized purposes. This site may contain communication boards or other message or communication facilities (collectively “WDCD Challenge Platform(s)”). As a user, you agree to use the WDCD Challenge Platform only to input ideas that are proper and related to the particular subject-matter addressed in the context of a specific challenge. WDCD does not wish to receive through this site any confidential or proprietary information or materials otherwise subject to use restrictions. You understand that all your contributions, as well as your username and user photo, will be deemed public and not confidential. Furthermore, you acknowledge that all Challenge Forums and discussion groups are public and not private platforms of communication. It is not necessary to fulfil the purpose of this site for a user to disclose personally identifiable information and WDCD advises against doing so. It is in each User’s decision as to whether they wish to (i) add personal information to “My Profile”, (ii) upload a photograph of themselves, and (iii) opt to make these visible to other Users as part of “My Profile”. Unless expressed otherwise, the statements covered in the contributions on the site are those of the various WDCD, IKEA Foundation, AUTODESK Foundation, STBY or Social Enterprise NL, staff members, consultants, advisers, stakeholders, persons of concern, and partners who contributed to the work, and do not necessarily represent the views of the, WDCD, IKEA Foundation, AUTODESK Foundation, STBY or Social Enterprise NL. You understand that all contributions which you may have access to as part of, or through your use of, the site are the sole responsibility of the user from which such contributions originated. This includes assertions that you as the user may make, expressly or impliedly, about the provenance and ownership of contributions that he/she supplies, uploads and/or links to the site. You acknowledge that such contributions, including postings, conferences, messages and other communications by any user, are not endorsed by WDCD, and that such contributions shall not be considered to have been reviewed, screened or approved by WDCD, IKEA Foundation, AUTODESK Foundation, STBY or Social Enterprise NL. WDCD, IKEA Foundation AUTODESK Foundation, STBY and Social Enterprise NL do not represent or endorse any statement or other information displayed through the site by any user. You acknowledge that any reliance upon any such statement shall be at your own risk. Under no circumstance shall WDCD, IKEA Foundation, AUTODESK Foundation, STBY and Social Enterprise NL be liable to any user for any loss, direct, indirect, incidental, special or consequential damage, liability or expense incurred or suffered that is claimed to have resulted from the use of this site, including, without limitation, any fault, error, omission, interruption, deletion, defect, failure of performance, computer virus or communication line failure, or delay with respect thereto. This site may also contain links and references to third-party websites. The linked sites are not under the control of WDCD, IKEA Foundation, AUTODESK Foundation, STBY and Social Enterprise NL, are not responsible for the content of any linked site or any link contained in a linked site. WDCD provides these links only as a convenience, and the inclusion of a link or reference does not imply the endorsement of the linked site by WDCD. WDCD may at any time: (a) modify, suspend or terminate the operation of or access to this site, or any portion of the site for any reason; (b) modify or change the site, or any portion of the site or related services, and any terms, additional terms and other policies governing the use of the site or services, for any reason; (c) interrupt the operation of the site, or any portion thereof, for any reason, all as WDCD deems appropriate in its sole discretion. Your access to, and use of, the site may be terminated by you or by WDCD at any time and for any reason. The disclaimer of warranties, the limitation of liability provision shall survive any termination. The license grants mentioned herein shall continue in effect upon termination of this agreement.